There are those who champion practical leading and teaching and there are those who champion doctrinal truth and the spiritual nature of the ministry; those who favor creative ministry and those who promote straight “lecture-style” proclamation. If we force the pendulum to swing to one extreme or the other, our leadership team becomes unbalanced like a man with one leg shorter than the other. It doesn’t matter which leg is shorter, the result is the same: ineffectiveness! Paul was well aware of this tendency, which is probably why he included 1 Timothy 3:14-16 in the middle of his practical leadership letter to young Timothy. Paul’s focus is clearly on how leaders in particular should conduct themselves. “…I write so that you will know how one ought to conduct himself in the household of God …” (3:15 NASB). Some translations use the word “behave.” In other words, the practical outworking of our faith is in view. Also, translations differ in whether Paul is instructing Timothy on how he should conduct himself or whether this is teaching for all Christians. However, it is clear that Timothy is to teach these things to others (2 Tim 2:2). Make no mistake, Paul’s practical teaching is rooted in rock-solid spiritual truths. For him it was not either practical or spiritual, but both practical and spiritual. “.. the household of God, which is the church of the living God, the pillar and support of the truth. By common confession, great is the mystery of godliness: He who was revealed in the flesh, Was vindicated in the Spirit, Seen by angels, Proclaimed among the nations, Believed on in the world, Taken up in glory” (1 Tim 3:15b- 16). I sense Paul is saying that this is critical to the well functioning of the assembly. The Biblical model is not that of a corporation with a CEO, board of directors and stock holders. 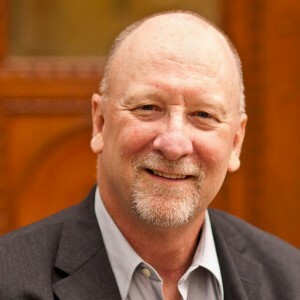 One nationally known mega-church leader asserts that we need to jettison the “shepherd” imagery of church leadership as a rural, antiquated metaphor, and use the example of the CEO (chief executive officer) model of business. His rationale is that such a move would be highly relevant to today’s culture. But this ignores the fact that God is vitally interested in both the imagery and the practice of “church life.” We are the church of the living God, not the church of 21st century culture—and God does not change! A CEO’s family life has little bearing on his ability to lead a corporation. But an elder’s family life is essential to church leadership—precisely because the local church is more like a family household than a business. When evaluating potential changes in ministries or leadership structures, one key evaluative question to ask is, “Does this proposed change help the church be more like a family, or more like a business?” Or “Are we going about this like a family or like a business?” Certainly, there are some common sense businesslike activities that can help any group of people function well. Families do need some structure and divisions of responsibilities; businesses need a lot! But, how changes are implemented and their result affect the family nature of the local church. Wisdom and spiritual insight are necessary at this juncture—things are not always black and white. Local churches can err in many ways: they can be over-structured or under-structured, led by committee or led by the loudest voice, either nothing gets done or else too much gets done, nothing changes or there is too much change, too much innovation or too much tradition. Even in elder-led churches, the family atmosphere is lost when the elder team acts more like the ruling Sanhedrin than family leaders. What does a family atmosphere look like? I remember as a child, my father was offered a job transfer. Since it involved the whole family, he wanted input from all of us, including the children. Because of discussions we had, we came to trust my father’s understanding of all that would have been involved. He appealed to us on the basis of what changes would happen to our individual lives. My father was concerned about how his decisions would affect the family. He made each of us feel we were a real part of the decision. He didn’t presume to “know” what we were thinking, even when he was pretty sure what our answers would be! And, as you can guess, he was skilled to know how to influence our thinking by how he presented things to us. He certainly was within his right to make the decision by himself, as the head of the family, but he choose the path of influence rather than dictate to bring it about. The result was that we were unified as a family and we moved through the huge change in our lives with relative ease during the important teen years of my life. That’s how a family should operate. Family is important! As leaders in the church, the family of God is important! What’s best for the family? All practical decisions should be made with what is best in mind for the family and with as much family input as possible. In the end, the leaders are the ones who will answer for the decision, but such an approach to decision involves the whole family. Genuine leadership does not simply force people to follow. Rather, leadership is the art of influencing others toward a goal. Elders need the skill of a loving, wise father as we lead or consider change. Editorial Note: In the next part Chuck will consider the connection between change and truth. These posts are taken from a single article published in Elder’s ShopNotes in January 2007 and used by the author’s permission.